I wrote a 188bet review for superbetting.com and am posting here since it should be useful for every punter. 188bet is fairly new bookmaker (in business since 2006. ), based in Asia with a tendency to spread over the Europe. They’re owned by Cube Limited, licensed and regulated on the Isle of Man. 188bet has great football (soccer) odds, they’re proud on the live betting offer and financial security, while sponsorship deals with Premier League clubs guarantee an increase in the popularity worldwide. The popularity of Asian books was crushed after Pointbet affair (in 2007.) when many customers were robbed and company just vanished after that. 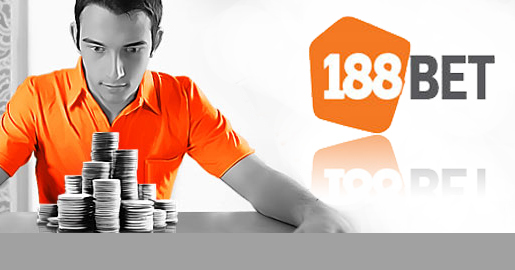 To gain the trust, 188bet is paying big attention to the financial security. They are holding all clients’ funds (deposits plus winnings) in account at The Royal Bank of Scotland International. Which practically means the clients’ money is always safe. If we talk about the advantages and reasons why average punter should choose them instead some European book, their great odds should be pointed. They are almost the same as at exchanges (but you don’t need to wait for offer to match). Their odds on even games are 1.935 up to incredible 1.98! 188bet opens the market earlier than other bookmakers which gives the opportunity to punters to make some “better deals”. For those who prefer less popular leagues, good news is bookie covers more than 400 football leagues worldwide which should satisfy the appetites even of the most demanding customers. 188bet likes to be called "In-Play Specialist" as they live betting offer includes at least 2200 events every month. There is some form of in-play betting for nearly every event they cover. In-play is possible on football, NFL, basketball or tennis. Another strong point is high limits. This attracts the serious players from whole world. At the same time, 188bet is also available for the “small fishes”. Minimal deposit is only 10EUR and minimal bet is 1EUR. Their dedication to the clients is also reflected in customer support. Their department is available 24/7 and can be contacted by phone, fax, email, or their live chat feature. Chat is available even without making an account which gives the opportunity to gather more information before joining. The website has a modern and easily navigable look, players can place their bets and move around the website without confusion and distraction. Bookmaker is very well known for its high profile football partnership deals. 188bet is proud sponsor of Premier League clubs, Wigan Athletic and Bolton Wonderers (shirt advertising). They are also a betting partner of Liverpool, Chelsea and Aston Villa. Other partnerships include Sheffield United, Everton and rugby teams Newcastle Falcons, Wigan Warriors and London Wasps RFC. Beside the list of 28 sports, 188Bet.com additionally offers gaming in form of casino (about 20 games), live casino, financials and mobile service. Those punters who prefer other sports more than football won’t spend too much time before facing the first drawback.188bets offers events in 28 sports, but coverage of sports other than football is only mediocre. Offer is limited and live streaming almost doesn’t exist. Also, some lack of sense for these sports is always present. Book had one ridiculous rule about voiding bets on tennis matches interrupted for more than 12 hours. For example, this overlooks the possibility of rain on Wimbledon! There’re no poker and horse racing in offer as well. When you try to get the winnings, it’s possible sometimes that the bookmaker will apply higher withdrawal charges in case of higher wins. Despite their strong dedication about spreading on European market, languages are limited only to English, Chinese, Vietnamese, and Indonesian. Which is nothing else than giving up from the clients and countries that have animosity to English language like Italy, Spain, France, Switzerland or Scandinavia. Odds are decimal, Hong Kong , Indonesian, Malaysian, but no UK format! In 2010., 188bet required from some of European players to enclose their sources of income by providing salary statements or income tax assessments. Explanation was the documents are required by the licensing regulator in the Isle of Man as part of money laundering checks. Players were frustrated as they understood it as a try for identifying the professional gamblers. 188bet also closed the doors for the residents of the following countries and regions: USA, Netherlands, Turkey, Switzerland, Philippines, Singapore, Hong Kong and Taiwan. If you are English speaking, football bettor, this bookmaker is a must have for you. They have some business related problems, but from my point of view (as bettor) they’re top class. Nine stars of ten!